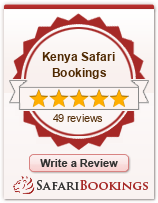 Pick up from your hotel at around 8.30am and drive southwards along the floor of the Great Rift Valley with a stop over at the view point with picnic lunch on the way arriving masai mara in the fternoon. After proceed for evening game drive dinner and overnight at Mara sidai camp with facilities of hot shower and toilet inside the tent. Pre-morning game drive and after late breakfast drive to Sirari/Isebania border on Kenya/ Tanzania (Mara/Serengeti) for immigration and custom formalities which will involve change of vehicles and driver/guides and depart to Musoma in L. Victoria arriving in the evening. Dinner and overnight at Homabay campsite. After breakfast with picnic lunch proceed for Morning and afternoon game viewing in Serengeti. Every year more than a million wildebeest, 200,000 Zebras and 300,000 Thomson's gazelle gather to undertake their long trek to new grazing lands, followed by predators lion, leopard, cheetah, and hyenas. During their trek more than 8,000 calves are produced a day, and thousands are killed by predators. Return to the camp for dinner and overnight. After breakfast you spend another full day in t5he park exploring since it is very big. Dinner and overnight at the camp. After breakfast with picnic lunch Morning game drive, then leave Serengeti for Ngorongoro with an optional top at Olduvai Gorge, or walkon mountain forest with Ranger(to pay direct), a river canyon cut a 100 metres deep through the volcanic soil of the Serengeti plains. Buried in the layers are hominids and remains of animals that lived and died more than 2 million years ago. The guides will give you on site information of the gorge. Proceed to Ngorongoro for dinner and overnight at the camp.